The Amazon Appstore has become a very popular alternative to Google’s Market since it launched in March of this year, giving Android users another way to buy apps for their devices, and in some cases, get paid apps for free. Each day Amazon features a paid app for free, and it his become one of the store’s most popular features. The very first free app of the day was Rovio’s Angry Birds Rio, which is an Amazon Appstore exclusive, and still remains one of the best-selling apps in the store. But not all developers have had as much luck with it as Rovio. 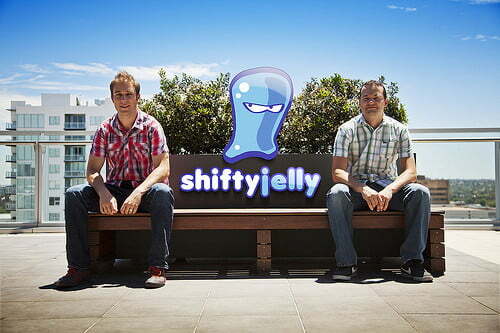 Android app developer Shifty Jelly revealed in a blog post its own ordeal with the program. Typically, in order to list on Amazon’s Appstore, you agree that Amazon can offer your paid app as the free app of the day, but you will make 20 percent of your asking price for each copy sold. However, Amazon emailed Shifty Jelly to offer a slightly modified deal: no money for each app given away, for one day only. Amazon insisted it was worth making no money on the app for one day with all the exposure the app would receive from the deal. After much internal debate, Shifty Jelly agreed, and over 100,000 copies of Pocket Casts were “sold” in a single day. If Amazon had kept to the original 20-percent agreement, Shifty Jelly would have made $54,805.14, which would have been a record day for the company. In the following days it did not see the huge increase in sales that Amazon promised, and in fact only saw a slight spike in sales for one or two days. The net result for Shifty Jelly is that it had to buy more servers to make sure its app works as intended and hire more client service reps to answer questions. Hopefully Shifty Jelly’s experience will shed some light onto how exactly Amazon’s Appstore really works, and this situation is not wide spread. We love free apps, and we hope that Amazon can keep offering them, but not at the expense of app developers.